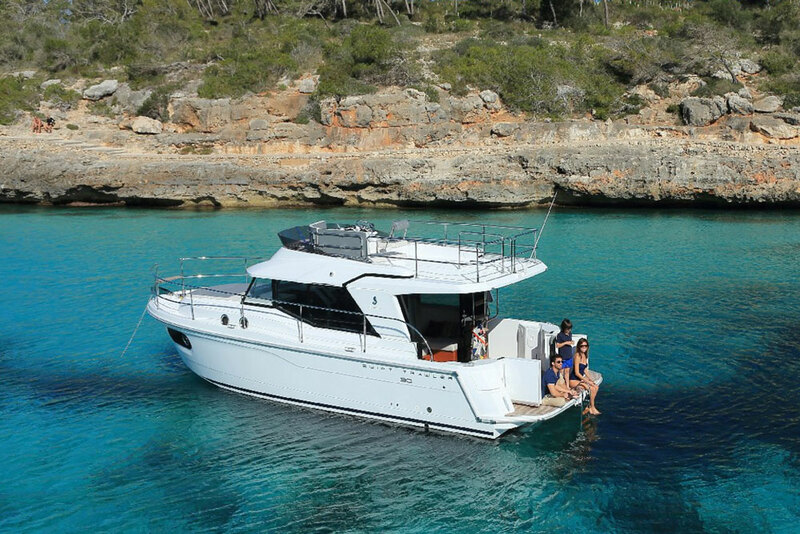 Like two boats in one, the 2016 Beneteau Gran Turismo 46 is a versatile addition to the Gran Tourismo line. 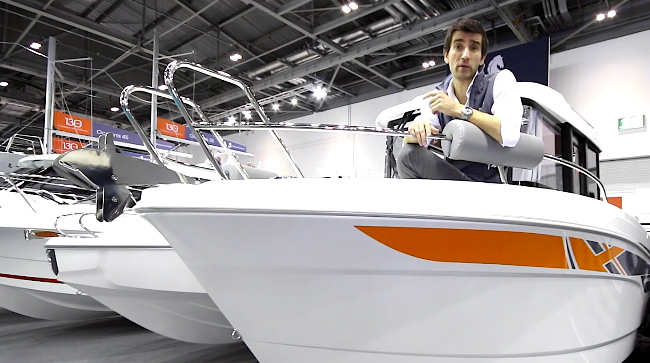 Replacing the Gran Turismo 44, the new Beneteau Gran Turismo 46 features a redesigned deck and cockpit with integrated seating that slides from one position to another. This allows the deck to be fully enclosed with a glass door or completely open like on an express model. 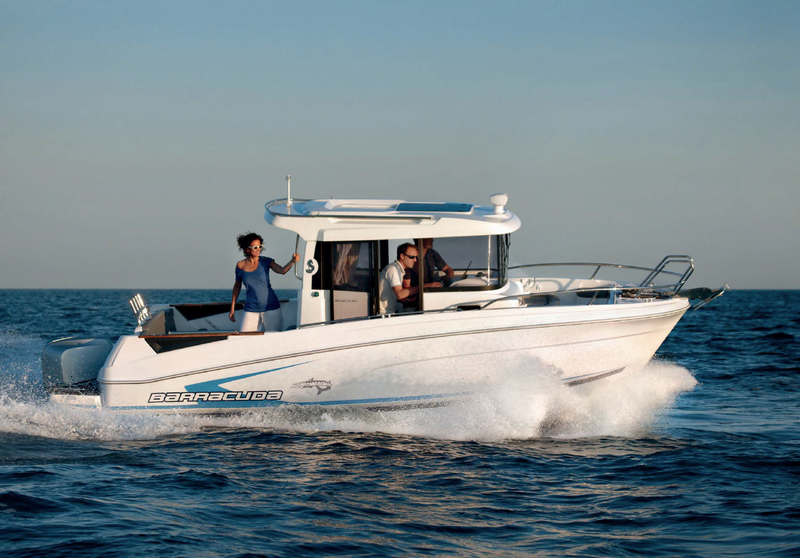 It’s like having two boats in one, and offers complete versatility regardless of the weather or cruising grounds. Watch our short First look Video to see how it all works. Aft transom seating also offers optional twin recliners that slide out at the touch of a button, like a nautical version of the famous Barcalounger. 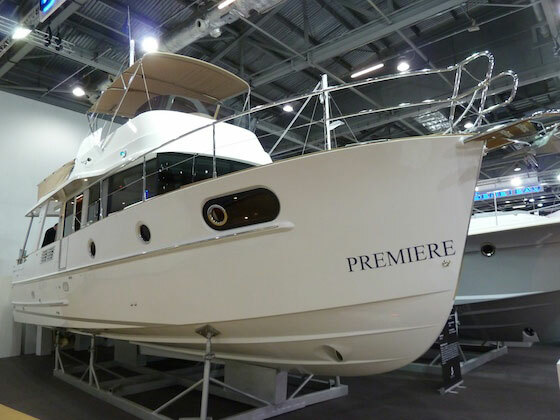 Aft of those is an optional grill and an outdoor galley which is used while standing on the hydraulic swim platform – a nice use of space that doesn’t crowd the cockpit. 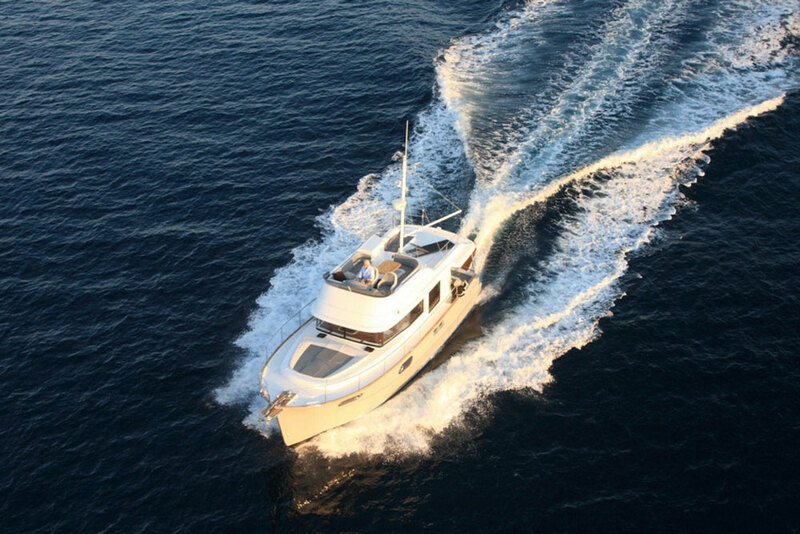 A two or three-cabin layout is available with a full-beam master amidships, a VIP cabin that has an island bed which splits into to singles if needed, and an over/under bunk cabin to starboard. Propelled by dual Volvo Penta 435-hp IPS 600 engines with pod drives, the 46 rides on Beneteau’s Air Step 2 hull that makes her more maneuverable as well as increasing fuel efficiency. 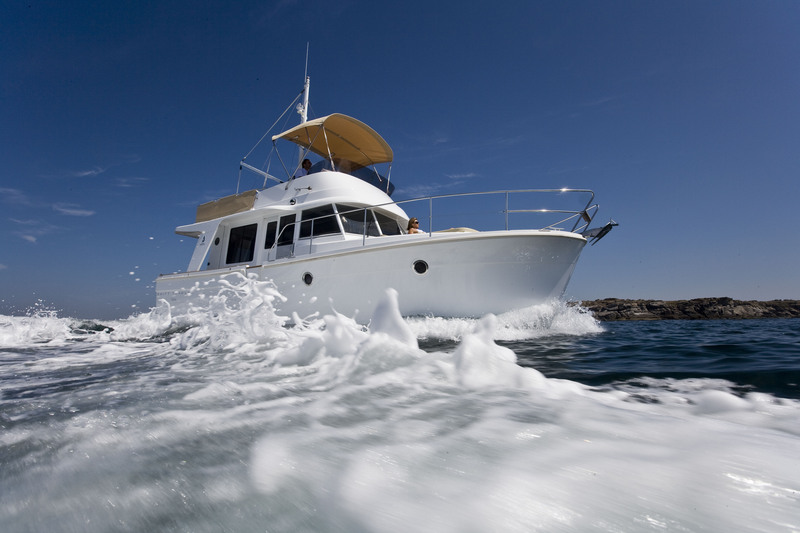 For more information visit Beneteau, or take a look at some Gran Turismo 44 listings.